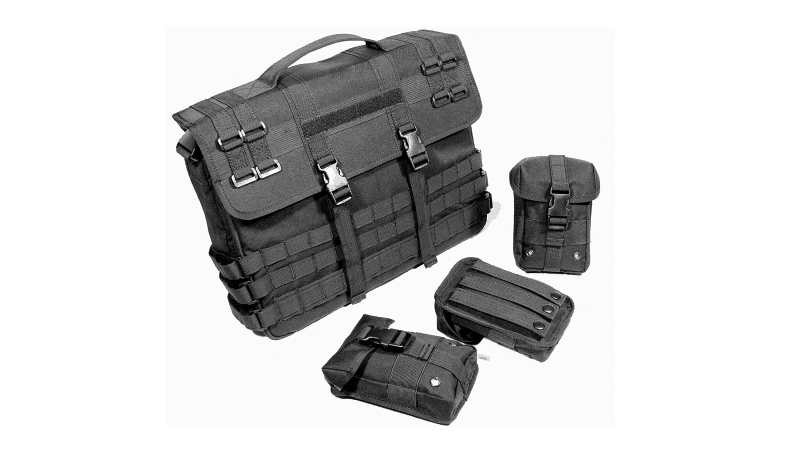 Get the Tactical laptop bag today! Loads of features and makes carrying your kit so much easier. Police Discount Offers bring you the Protect M8 Tactical Laptop Case – Although not sure why you would want a “tactical” laptop case? – Anyway it seems to be useful for carrying your kit or laptop if required! Made from high density 600D polyester and has a PVC coating making it very robust and sturdy. It has three small external pouches which can be removed or attached as required using the intergrated MOLLE system. 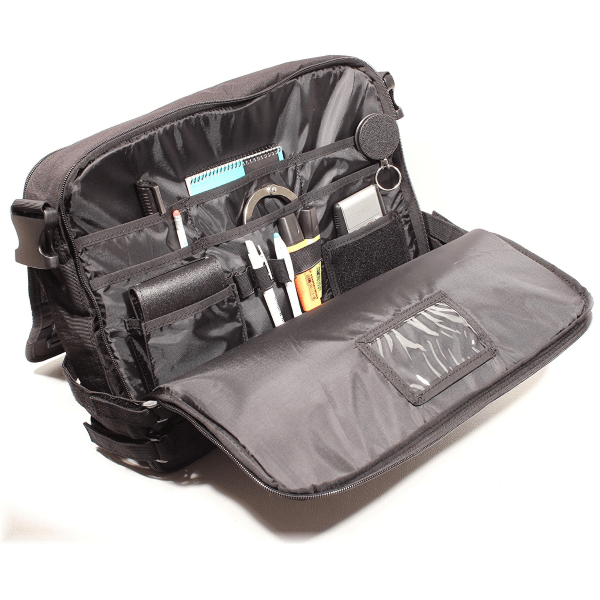 Inside you will see the usual expandable padded interior of a laptop case with a zip pocket. Plus on the other side of the case are various pockets to place stationary, extra kit etc. It comes with two types of carrying methods, either use the grab handle or a padded shoulder strap which is included.